Conaway Motors is a family owned business, dedicated to quality auto repairs that won’t leave you by the side of the road. If you need exhaust service in Everett, they are ready to help out. 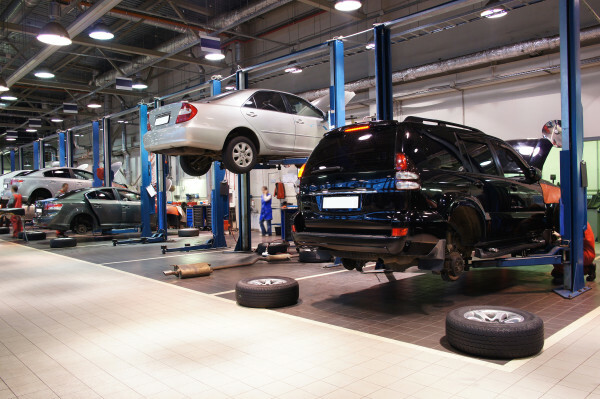 Exhaust service might seem an odd term – particularly if you are more familiar with exhaust repair, which is a related sort of thing – but it can save you time and money in the long run. Your exhaust system includes your EPA regulated catalytic converter that helps cut down on emissions from your vehicles exhaust. It also includes a muffler unit that can dampen excess sound from your vehicle during its operation. And, of course, it also includes the pipes that run between these items before releasing the smoke from your internal combustion engine into the atmosphere. These things working together make your vehicle much more acceptable as it is driven through neighborhoods or down the highway. An exhaust service can catch little things before they become big things – small holes in the muffler, the converter not working quite right, even suspension brackets that are starting to come loose. Back in the 1960s, you might have been able to fasten up a falling muffler with a wire coat hanger; but these days, hangers are mostly made out of plastic, and you might have a hard time finding anything to which to wire a loose muffler. If you think your car or truck is sounding a little louder than usual, bring it on by Conaway Motors or give us a call at (425)905-2424. We’ll make time to check out every little thing, and get your vehicle to sounding quiet and smooth again; and we’ll check your converter to make sure it is doing its thing correctly, too.